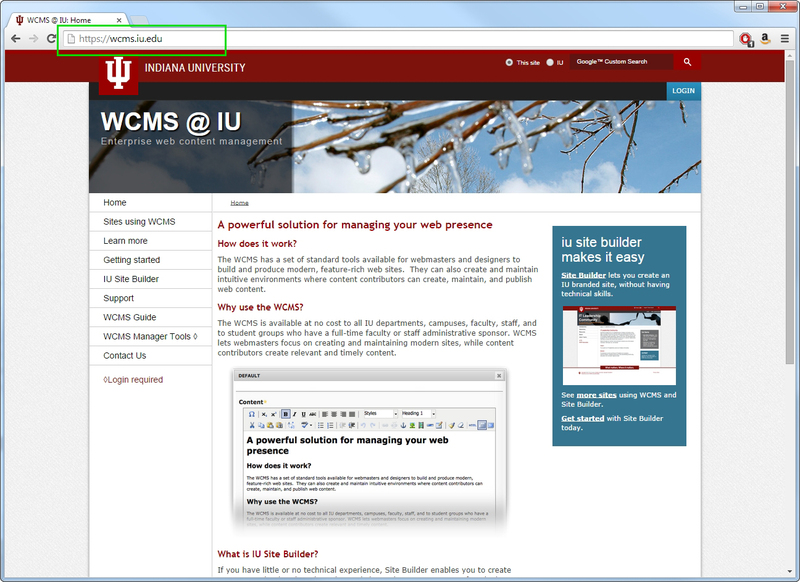 Step 1: In your browser's address bar, type https://wcms.iu.edu (or click this link). 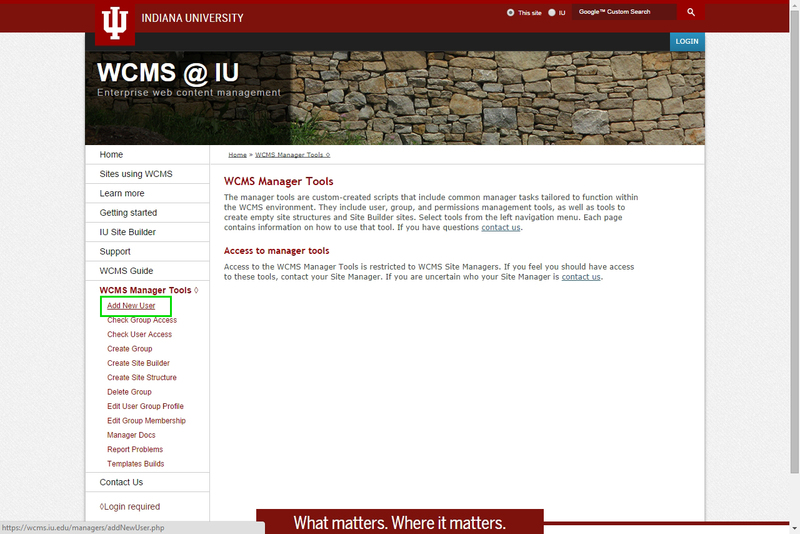 Step 2: If you are not already logged in, click the Login required link to log in through CAS. Step 3: Once you are logged in, click the Add New User link. 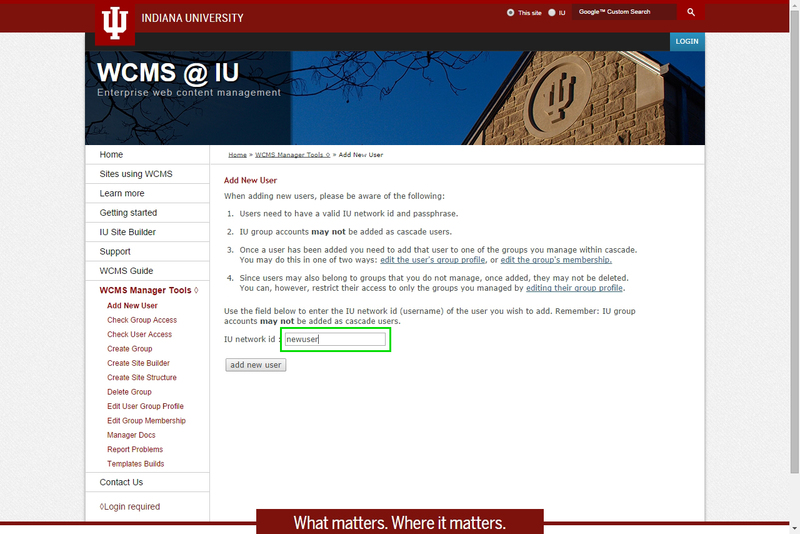 Step 4: In the IU network id field, enter the person's IU username. 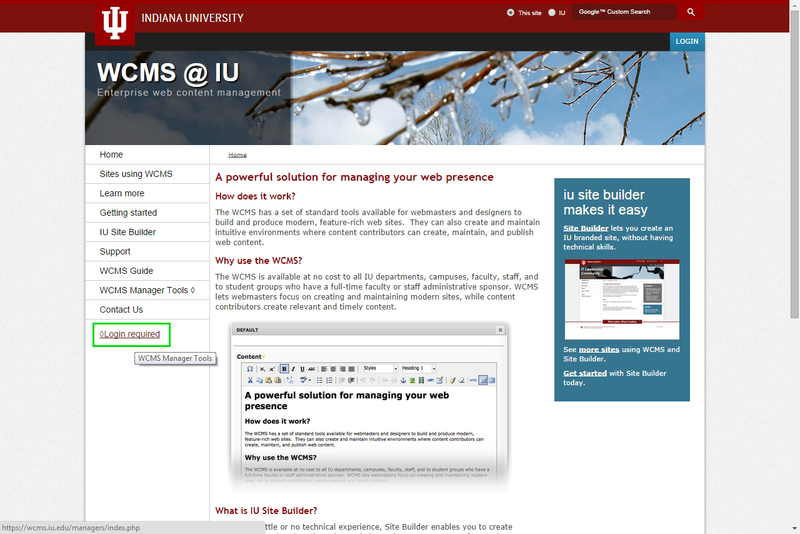 Step 5: Click the add new user button.